I’ve wanted to post since October, practicing my habit of composing blog posts in my head throughout the day and then never sitting in front of the computer to actually write them out. Then I get that really weird feeling that you have to update with something big and important or else it isn’t worth the wait. Meanwhile, nobody really cared because they were doing their own thing and nobody is holding their breath waiting for an update. It’s not that I am weirdly fishing for compliments or something like that, it’s just the truth. Hell, unless you’re Hyperbole and a Half, I wouldn’t really notice you stopped blogging either. So, I just want to do a quick run-down so I feel caught up and ready to post again! So you’ll see a burst of (mostly) short posts this week. I had never heard of the concept of a babymoon before I got pregnant. It wasn’t until a coworker friend (hi JP!) excitedly asked if we were planning one that I had ever even heard of the word. For those unfamiliar, it is a trip taken either right before or right after the arrival of a new baby to celebrate either the last time you are together alone or to bond with your newborn (take your pick). Juan and I had discussed traveling to Europe this year for our vacation, but that was before we found out I was pregnant. All of a sudden, planning and executing an exciting trip across the Atlantic where we would hop around from city to city was way too daunting and expensive (not to mention exhausting!). I was ok with skipping any sort of nice trip since I am all about hoarding my vacation hours right now for when the baby gets here, but Juan really wanted to take one last trip for just the two of us. This is even before he had ever even heard of babymoons being a thing. 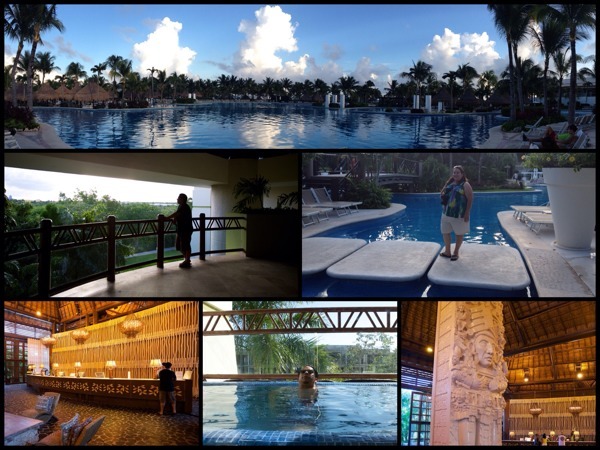 Eventually, we booked a last-minute trip and headed to the Mayan Riviera to this super huge resort that sits right on the beach: The Grand Mayan at the Mayan Riviera. It was beautiful! It was our first time dipping into the Atlantic, and I have to say that I’m a fan. One of the many beautiful pools, third floor balcony where we waited for the elevator every day, walking over a pool, the lobby, Juan soaking in the pool on our balcony, a sculpture in the lobby. The Grand Mayan at the Riviera Maya is a gigantic place that uses golf carts to get people around it’s so big. Some people tried walking from their rooms to the pools, beach, and restaurants on site. We didn’t. The golf cart shuttles went around with such a frequency that we didn’t bother with figuring out a way to walk around. First stop: FOOD! I need to learn how to pickle red onions, they were a delicious treat. We took it easy since I was at the end of my second trimester and it also happened to be during their rainy season. 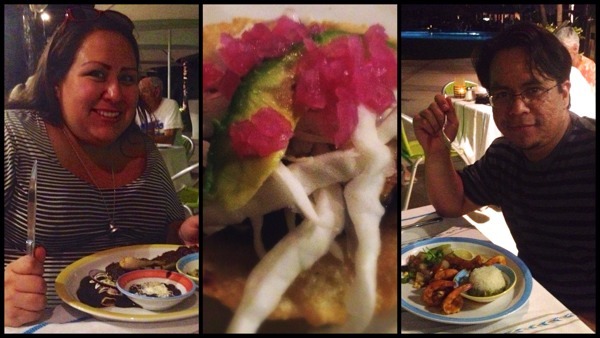 We ate, danced, went to the beach, visited the Mayan ruins in beautiful Tulum, and just enjoyed each other’s company. It was really nice to disappear for a while in the middle of all the craziness of every day life and disconnect completely. 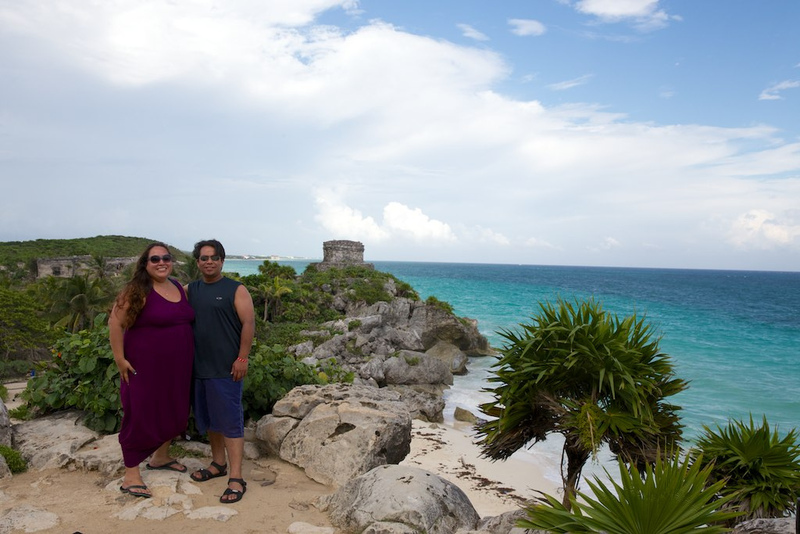 And we left with a list of things we want to do the next time we’re there (and not pregnant), like visit Chichen Itza, ride out on a speedboat to some snorkeling spots, visit a few cenotes, etc. 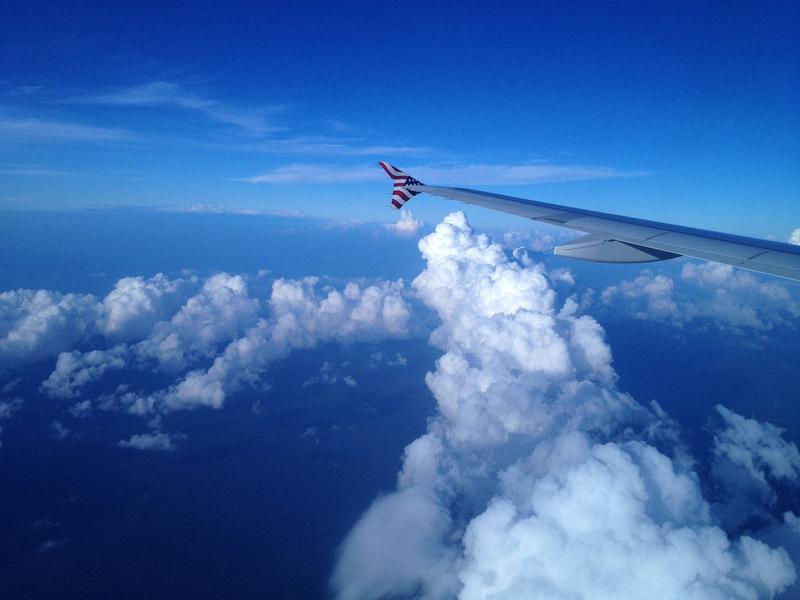 So, should you do a babymoon? Heck yes! Take time to enjoy in each other’s company before the baby gets here. It doesn’t have to be a giant trip, just a weekend getaway where you relax, but hey, if you can swing Cancun, go for it! Did you do a babymoon? Planning one? 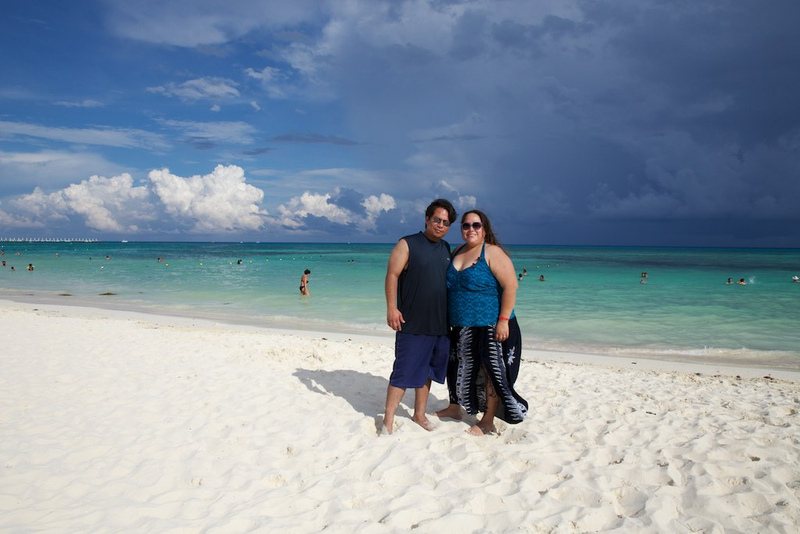 4 Responses to "Cancun Babymoon"
We went on a mini babymoon. It was so relaxing and fun. Glad you had a good time! Oh nice! Where did you go? We went to a resort in Indio for the weekend. It has several pools and a lazy river. It was nice to just lounge around. I have yet to get on a lazy river, and I want to so bad! We even thought this resort had one based on the photos, but no lazy river.